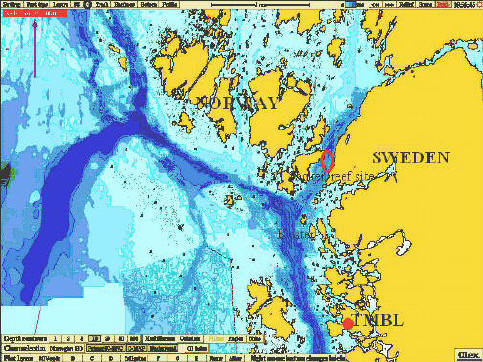 For tests and demonstrations, the Koster Fjord area , a coral site situated only at 500 meters from the shore at a water depth of 90 meters, offer a Seafloor Observatory with a cable connection to a shore station with power supply and real-time connection to the internet. The main purpose of this demonstration site is to test individual technological components developed in ESONET or related programs, both at a prototype phase and at an integration and compatibility phase. The activities at the site will focus on demonstration and test actions that will help validate the technology at different developmental phases of the project. The observatory serves to gain better insights into the dynamics of cold water coral systems like recruitment and feeding behaviour, hydrodynamics around cold water corals and monitoring of fishing activities in the area. Observations at the site can be expected to yield unique data on faunal behaviour and functioning at a biodiversity hotspot, as well as valuable data on the hydrographic regime.